If you are interested in finding out more about how I removed the crackle from these records, or just want to let me know you've enjoyed listening to them, please send me a message using the form below. I'd love to hear your feedback. 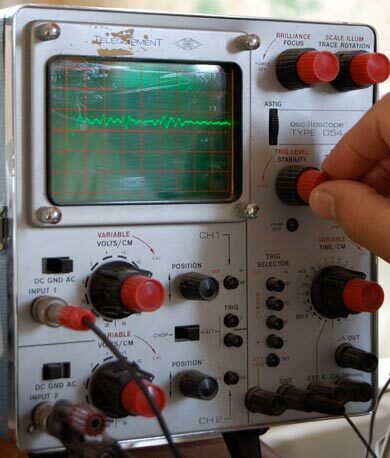 Only one of the 2 lines on the oscilloscope screen is captured in this photo, due to the shutter speed on the camera.